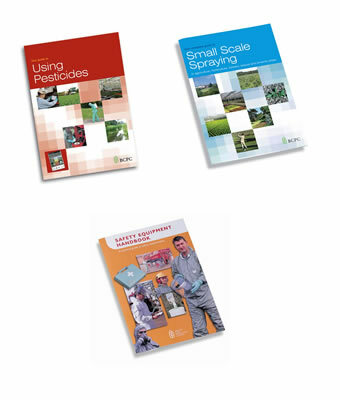 Using Pesticides, Small Scale Spraying & Safety Equipment handbook - BCPC British Crop Production Council : BCPC British Crop Production Council . Using Pesticides, produced by BCPC for farmers, growers and those operating in the horticultural, forestry and amenity sectors, provides all the information operators need to apply pesticides safely, accurately and within the law. Using Pesticides includes key facts from The Codes of Practice for Using Plant Protection Products with cross reference to the Codes of Practice for easy access to specific details. 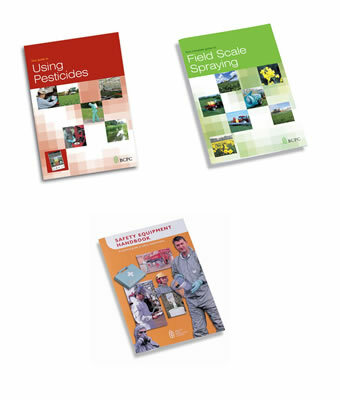 The handbook also incorporates guidelines on complying with the latest Agricultural Waste Regulations. The industry’s best selling training manual for small-scale spraying Packed with practical tips and best practice advice including a handy protective equipment summary and nozzle selection chart this book has been extensively revised and updated in line with the revised Code of Practice for Plant Protection Products and the new Agricultural Waste Regulations. It details the decisions, equipment and background needs to all small-scale spraying operations. Practical guidance is provided on the use of lever-operated, compression and knapsack sprayers, mistblowers, CDA sprayers, wheeled sprayers and mounted and self-propelled equipment. Sections advise on the types of pumps used, sprayer design, control systems and filtration. Spray quality, nozzle codes and calibration are explained fully with worked examples to guide operators through the process. General advice on good spraying practice, sprayer decontamination and maintenance as well as disposal is also provided. What safety equipment is needed when applying pesticides? How do you select the best items for the job in hand? What standards and specifications are relevant? How do you work out what to do in new or special situations? Where can you get technical help? Whether you are a farmer, sprayer operator, contractor, horticulturalist, landscaper, greenkeeper, groundsman, PCO, or someone involved in amenity weed control, all this is information that you need at your fingertips. 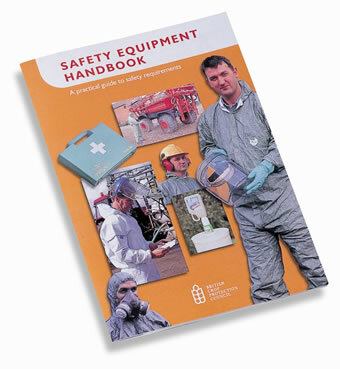 The Safety Equipment Handbook provides answers to these and many other important questions. 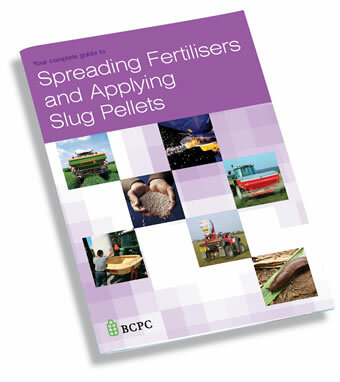 All in all it is essential reading for anyone who uses pesticides professionally.